Schwan's Home Delivery offers over 350 delicious foods, flash-frozen at the peak of freshness and conveniently delivered to your door. 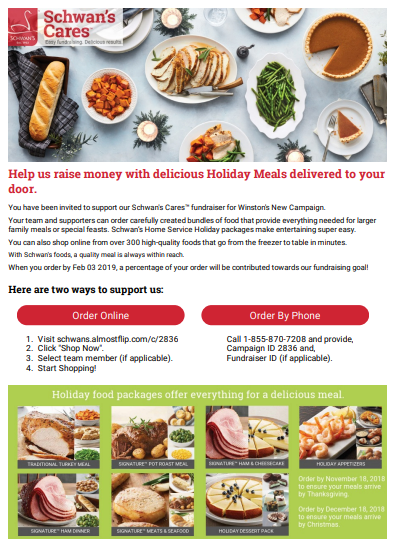 Through Schwans-Cares.com, you can order from Schwan's Home Delivery and help Lakeville Baseball Association (LBA) meet its fundraising goals. When you order by January 21, 40% of e-certificate sales and 20% of product will support LBA. In addition, Schwan's will contribute 5% of all orders to LBA until April 21, 2019.